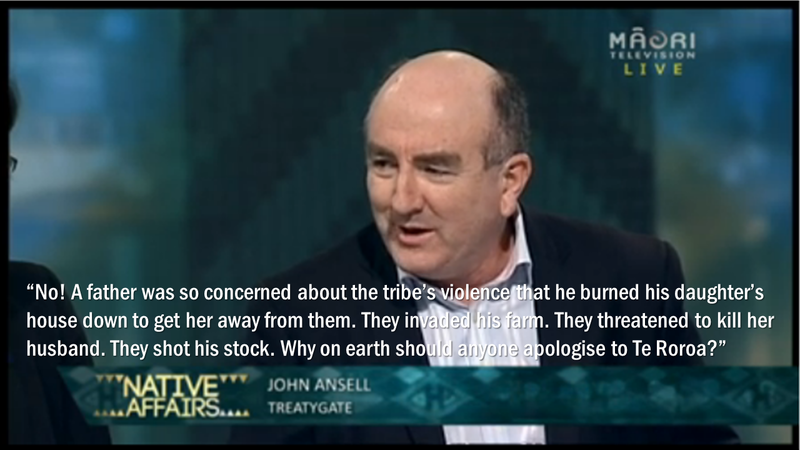 Undeterred by my exposé of their one-eyed Titford story (or more likely because they couldn’t get anyone else), Maori TV are flying me to Auckland to participate in a live Native Affairs debate on Monday night at 8.30pm. 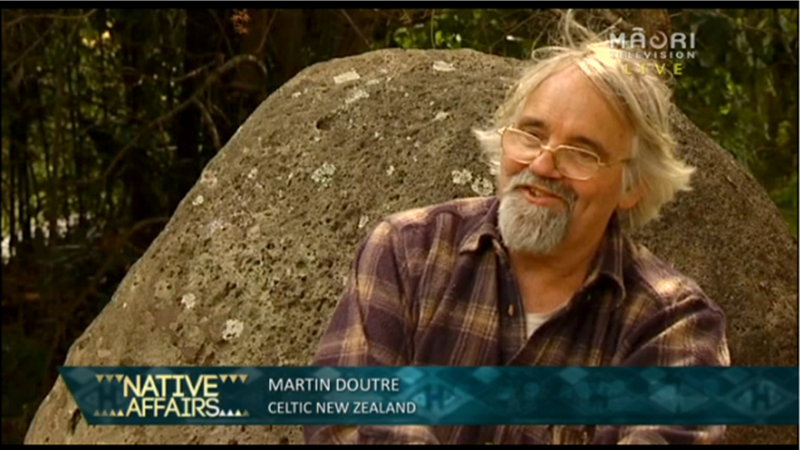 New Zealand’s alternate history (ie that people other than Maori were first settlers of New Zealand). The level of support for One New Zealand, NZCPR, Celtic NZ, 1LAW4ALL, the Pakeha Party and Treatygate. 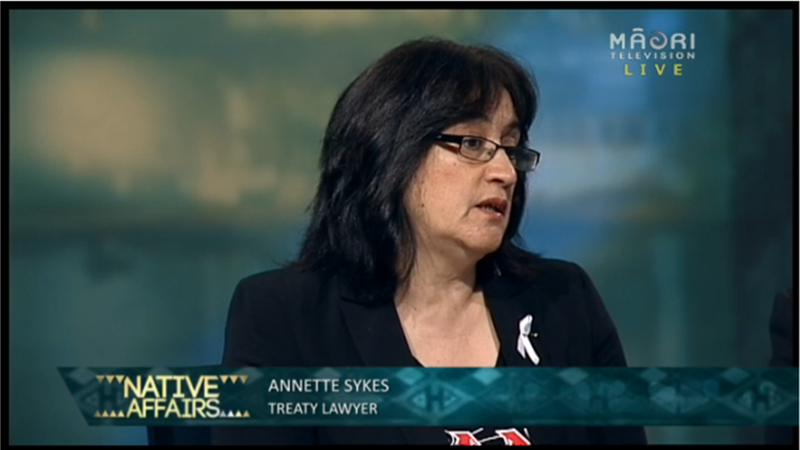 Therefore I’m told my only opponent will be Annette Sykes. 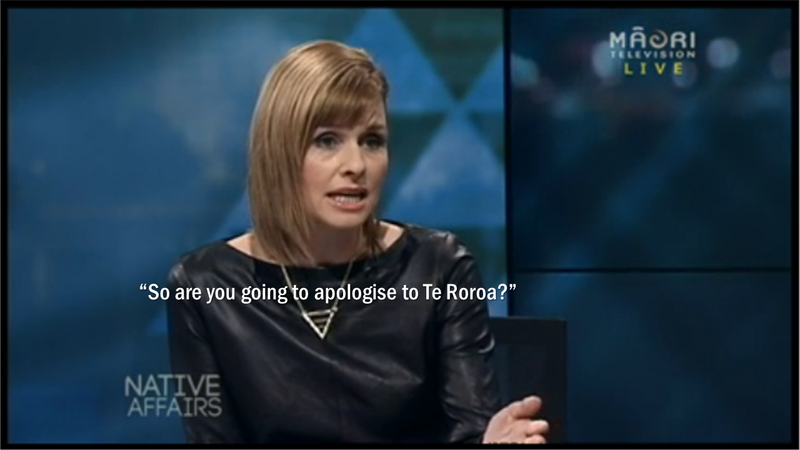 Well, after my last two experiences of Maori TV debates, I wouldn’t bet on it. 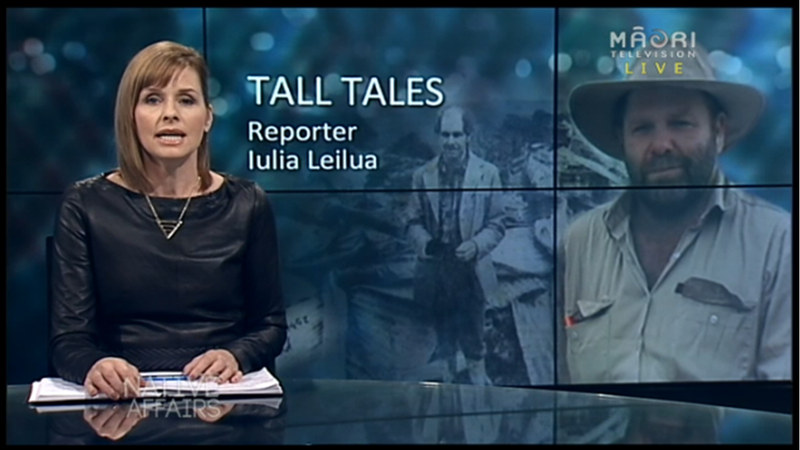 The first time, reporter Semi Holland told me I’d be debating Joris de Bres and getting equal time. But on the night it was Joris and Ella Henry, giving them a two-thirds/one-third time advantage. 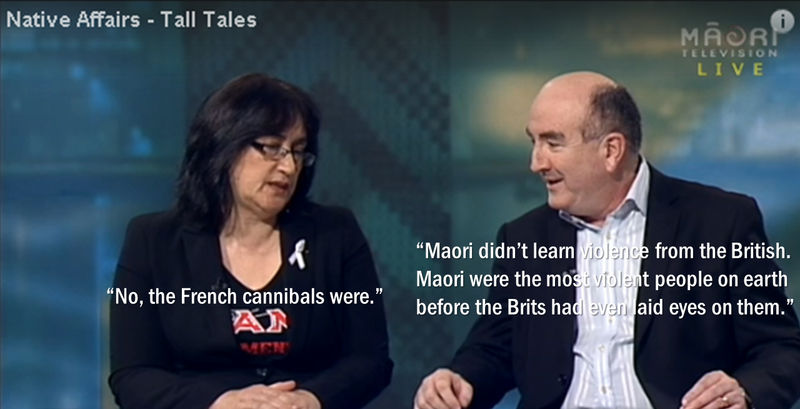 The next time when I was invited to debate Metiria Turei, Semi promised me she would not pull the same stunt. 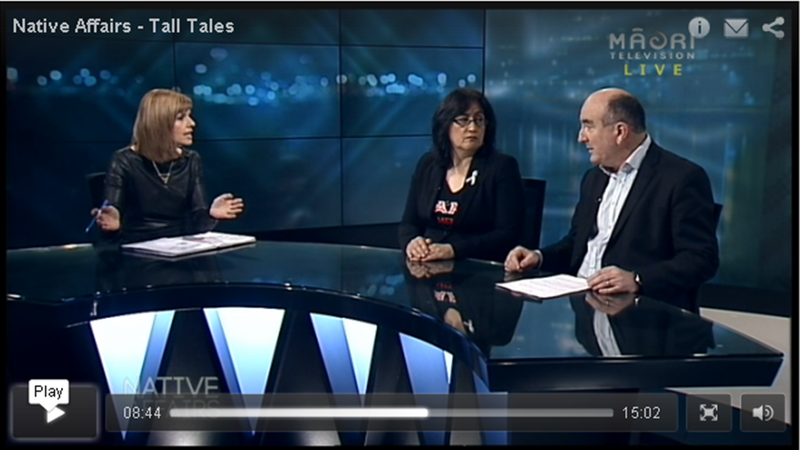 But true to form, when I got there, Semi revealed that Metiria and I would soon be joined by John Tamihere. I got mad and she had to bribe me with chocolate cake to keep me in the building. However I’m pleased I hung around that time, because their ambush backfired when Tamihere failed to show. Interviewer Julian Wilcox gave me a fair run and I got equal time — but only by accident. Anyway, I believe in taking every opportunity to get the truth out there, and regardless of whether or not they honour their promise of a fair debate, I intend to give Monday night’s audience their money’s worth. Tune in if you can. And show them you’re there by providing some pushback to the no-doubt-vicious abuse on the Native Affairs Facebook page!